Happy Holidays from Your North Shore Realtor! As 2013 wraps into a close and we all ready ourselves for celebrating the season with family, friends and loved ones, I wanted to take a moment to thank all of my clients, past and present, for another wonderful year. Whether we’re currently working together on buying North Shore real estate or you’ve been living on the North Shore for a while now, I take an immense pride in helping my clients find the home of their dreams in the community that works for them. Chicago’s North Shore offers the best of many worlds to its residents and visitors – Safe, desirable communities, award-winning school districts, a convenient location very near to the city of Chicago and public transportation and, of course, a wide array of dining, shopping, entertainment, arts and culture that make the quality of life here outstanding. North Shore real estate has always been highly coveted and I enjoy not only helping my clients achieve their home ownership goals but also introducing new residents to all of what our area has to offer. -Make sure high-traffic areas that you know will see a lot of foot traffic today are de-cluttered and ready for guests. This means foyers, bathrooms, hallways and living areas should be neat and organized so guests have plenty of room to sit, stand, talk, mingle and enjoy themselves. -Use a large rug or welcome mat inside the front door to prevent mud, snow and other debris from being tracked from the outside into your home. -Child-proof your home, if necessary. This includes moving things like cleaning solutions, chemicals, lit candles, medications and other potentially dangerous items to areas where little ones can’t get to them. If you’re expecting youngsters in your home today, ask parents to bring baby gates and/or childproof cabinet locks for added peace of mind. Chicago’s North Shore is a fantastic place to call home, and I hope that all of my clients, friends and readers have a wonderful holiday. Whether you’ll be buying or selling North Shore real estate in the new year, feel free to contact me with any questions. A very happy and safe Christmas to you and yours! Last Minute Holiday Fun on the North Shore! The holiday season can oftentimes seem like a chaotic and hectic time, filled with family, friends, food, shopping, loved ones and kids all jam-packed into a couple of quick months! Whether you’re considering buying North Shore real estate or are already a longtime resident of one of the many welcoming areas that comprise the North Shore community, there is still plenty of festive holiday fun to be had! Clients past and present frequently tell me that one of the best parts of living on the North Shore is the endless array of activities, community events and social functions hosted throughout the year. While it can be cold during the holiday season, the North Shore real estate market and surrounding communities are always hot! Here is just a sampling of a few festive events still going on around Chicago’s North Shore – I would highly recommend squeezing one or all of them in if you can! Fri., Dec. 20th, 5 P.M.
Stop by for a free family screening of Christmas classic “Home Alone” at the Wilmette Theatre this Friday! As a longtime North Shore Realtor, this film holds a particular fondness for me as the infamous house featured throughout the film is located right here on Chicago’s North Shore! With “Home Alone” having been filmed right in our neck of the woods (in Winnetka), those of us living on the North Shore enjoy both the humorous, fun tale as well as the familiar sights featured in the box office smash. Be sure to stop by the theatre during business hours to pick up your free passes for the special screening. Sat., Dec. 21st, 3 P.M. and 7 P.M. and Sun., Dec. 22nd, 3 P.M.
A magical holiday classic appropriate for all ages, Amahl and the Night Visitors offers a unique fusion of singing, dancing and acting alongside their live orchestra for a fantastic, family-friendly holiday story. Support Chicago’s North Shore local arts by catching one of three shows scheduled for the upcoming weekend. Featuring both local talent as well as professional vocalists and musicians, this rendition clocks in at just under one hour – Perfect for those with small children! Sat., Dec. 21st, 2 P.M. and 4 P.M. Enjoy a festive Christmas brass concert at one of the Chicago’s North Shore cornerstones – The Chicago Botanic Garden! One hour concerts will be held at 2 P.M. and 4 P.M., and will feature spirited holiday favorites for all ages. Tickets can be purchased in advance or the day of and include the concert and access to the Wonderland Express exhibit. If you’re looking for a reason to get out of the house and do something both local and for the holidays, this fun concert is it! With another year almost behind us, I am proud to have served many clients throughout our desirable region. Whether buying or selling on Chicago’s North Shore, I encourage you to contact me in the coming year for professional assistance and expertise. Winnetka Active Listings: There are a total of 89 properties actively on the market with the average price of $2,294,358 in Winnetka. Winnetka Sold Listings: 20 properties closed last month in Winnetka with an average sales price of $1,137,776, the average time on market for these properties was 65 days. Northbrook Active Listings: There are a total of 172 properties actively on the market with the average price of $655,539 in Northbrook. Northbrook Sold Listings: 37 properties closed last month in Northbrook with an average sales price of $418,500, the average time on market for these properties was 61 days. Highland Park Active Listings: There are a total of 147 properties actively on the market with the average price of $1,284,555 in Highland Park. Highland Park Sold Listings: 36 properties closed last month in Highland Park with an average sales price of $543,739, the average time on market for these properties was 79 days. Glencoe Active Listings: There are a total of 60 properties actively on the market with the average price of $1,751,922 in Glencoe. Glencoe Sold Listings: 10 properties closed last month in Glencoe with an average sales price of $1,637,400, the average time on market for these properties was 28 days. Deerfield Active Listings: There are a total of 75 properties actively on the market with the average price of $664,304 in Deerfield. Deerfield Sold Listings: 12 properties closed last month in Deerfield with an average sales price of $407,804, the average time on market for these properties was 46 days. 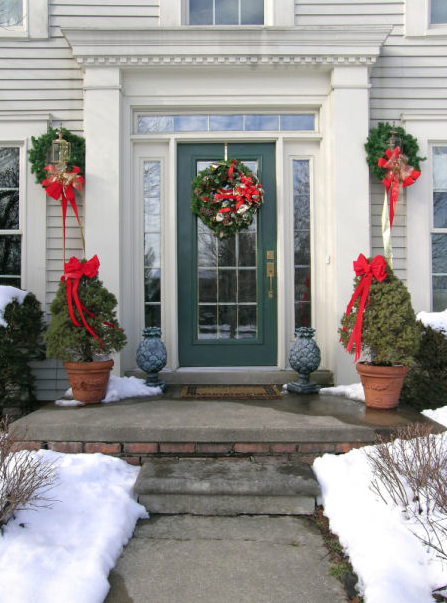 Tips for Creating a Great First Impression of Your North Shore Home This Holiday Season! Now that we’re in the month of December, the hustle and bustle of the holiday season is well underway! 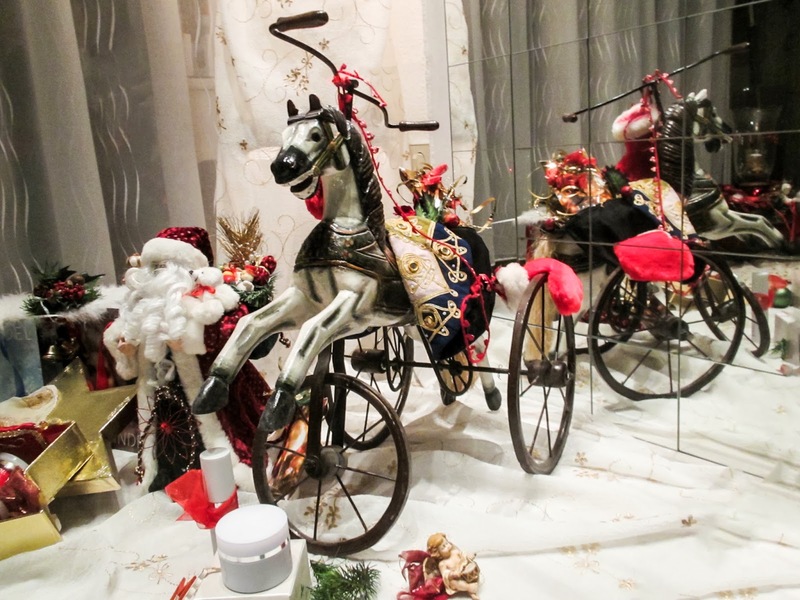 It’s a beautiful time of year on the North Shore as Winnetka, Deerfield, Northbrook, Highland Park, Glencoe and the surrounding towns decorate for the season and host fun holiday events. But, what if your attention is divided between the holidays and selling your North Shore home? You may be worried that your home won’t sell before the end of the year, but as a North Shore Real Estate agent, I can assure you that there are buyers out there! 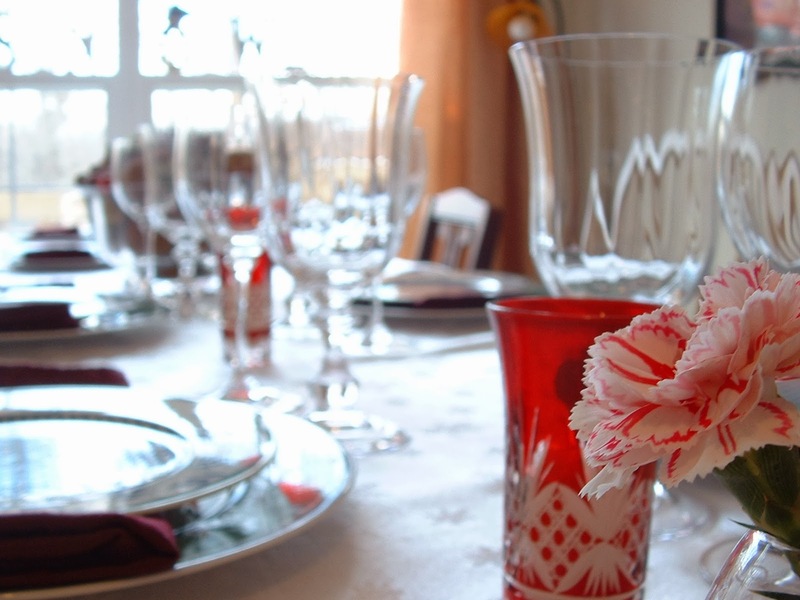 In fact, showing your home during the holiday season can be very appealing to buyers who will be able to easily envision hosting their own holidays in your home. One of the key aspects that will make your home stand out this holiday season to buyers is the first impression they’ll have of your North Shore home. First impressions make lasting impressions and you want to be sure your home is ready to wow! Here are seven simple tips for making a great first impression this holiday season with your North Shore home! 1. Safety- You may have open houses or showings soon, so you’ll want to put safety first! Be sure your driveway, sidewalk and front porch are cleared of debris or any snow. It’s always better to be on the cautious side and put down salt, as even rain can freeze and make walking up to your home dangerous. 2. Fresh Paint- Your North Shore home is more visible in the winter months as trees are free from their leaves and your home’s condition is more exposed. Touching up chipped or faded paint is a great way to help your North Shore home look refreshed. 3. 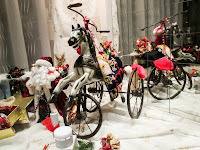 Tasteful Decorations- While you can have fun with the season’s bright lights and characters of Christmas, it can be easy for some to get carried away. Try small white lights around your homes’ bushes or front porch post, a simple wreath and garland to enhance your home’s appearance without being too distracting. 4. A Neat Lawn- Whether there is snow covering your lawn or not; be sure to keep your lawn free from any leaves, twigs, etc… that may have blown through with the harsher winds. Just because your lawn is not expected to be as lush as the summer months, doesn’t mean to ignore the state of your lawn. Keeping it cleaned up will show that you care. 5. Clean Gutters- It’s not too late to make sure your gutters are free from leaves and other debris. You’ll want these cleared so that melting snow or rain can easily run through the gutters and not cause damage. 6. Lighting- The use of lights can really make your home stand out with the shorter winter days. Since there is more time without the suns light, using a variety of lighting can give your home a warm glow. Indoor window lights in each room provides a nice appeal, while lights along the pathway up to your home, a bright porch light and tasteful Christmas lights are all ways in which to enhance your North Shore homes’ curb appeal. 7. Cold Weather Plants- Hearty plants and Evergreen trees can withstand the winter months while adding visual appeal to the outside of your home. Evergreen Holly will add a splash of color with its red berries and can stand up to the cold weather. Following these tips will help take the curb appeal of your home to the next level and give your North Shore home that boost that will set it a part from other homes on the North Shore Real Estate market. If you have questions about selling your North Shore home or are ready to put your home on the market; please contact me today!